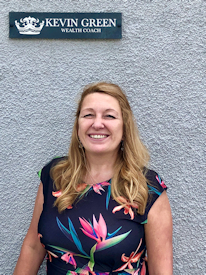 Diane Hall is the Finance Manager looking after the financial side of Kevin Green’s businesses, her role in ensuring that the companies are fluid and running smoothly cannot be underestimated. Diane has 30 year’s experience of the Accountancy world and has worked across the private, voluntary and public sector. The largest amount of Diane’s career has been spent on securing and accounting for European funding for the Local Government Authority for Regeneration and Educational projects across Wales, including funding for the Welsh Government flagship scheme ‘Vibrant Viable Places’ – a scheme which converted unused and commercial properties in disrepair into affordable housing. Diane has also been involved in many educational projects, including one of her career highlights where she managed the implementation of another Government Flagship Scheme ‘Building the Future Together’. The Scheme aimed to provide a range of services to improve the outcomes of (normally disadvantaged) young people at risk of underachieving, by empowering them to make a successful transition into employment and/or further learning through raising their skills levels, aspirations and confidence.